The world famous Kenai River king salmon fishery closed July 31, but there are still plenty of fish runs around the state that don’t even start getting hot until August. Here’s a roundup of great fishing excursions near some of Princess’ lodges. With six different major fisheries less than an hour and a half drive from the Kenai Princess Wilderness Lodge, bank fishing excursions are the perfect getaway. The Kenai River, known for its King (or Chinook) salmon and early Sockeye salmon run, is flooded with silver (coho) salmon during the month of August. A late sockeye salmon run during the first three weeks in August attracts anglers to the Kenai River. The Russian, Kasilof, Deep Creek, Ninilchik and Anchor Rivers are also known for great fishing during the late summer months. If you’re looking for a less well-known, but equally exhilarating fishing experience, check out the Copper and Klutina Rivers near the Copper River Princess Wilderness Lodge. As the Sockeye run comes to an end midway through August, fishermen will begin to see runs of Coho salmon that will last through the end of September in both rivers. The Tanana River, a tributary of the Yukon River, passes directly through the city of Fairbanks. Larger tributaries, the Nenana and the Kantishna Rivers, are within driving distance as well. 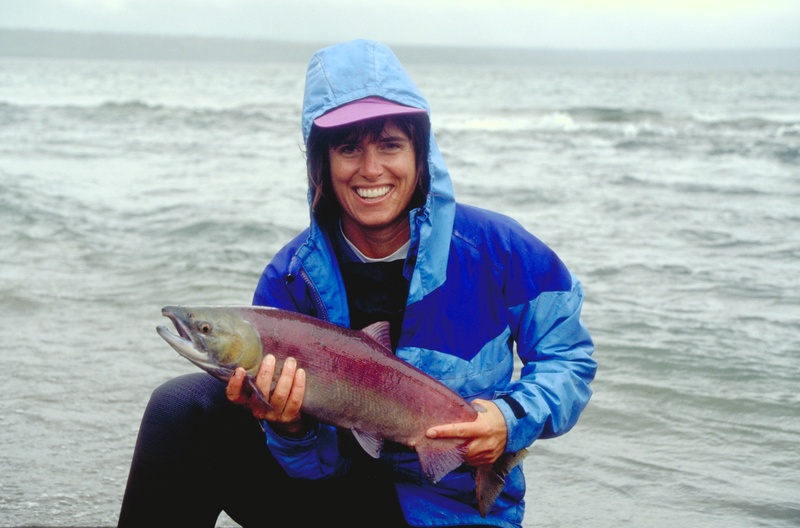 During August and September, the rivers are great places to fish for Coho and Pink (Chum) salmon. The Fairbanks Princess Riverside Lodge‘s location on the banks of the Chena River in downtown Fairbanks provides easy access to the area’s fishing hot spots.